From August 19th, the OUKITEL festival are offering a chance for fans to enjoy OUKITEL products at the lowest price for three smartphones : OUKITEL U8, OUKITEL U10, OUKITEL U2 and the smartwatch OUKITEL A28. For the 3 smartphones, there are limited stock for the lowest price, some can buy U8 only at $109.99, U10 only at $149.99 and U2 only at $89.99 and for smartwatch A28 only at $49.99. 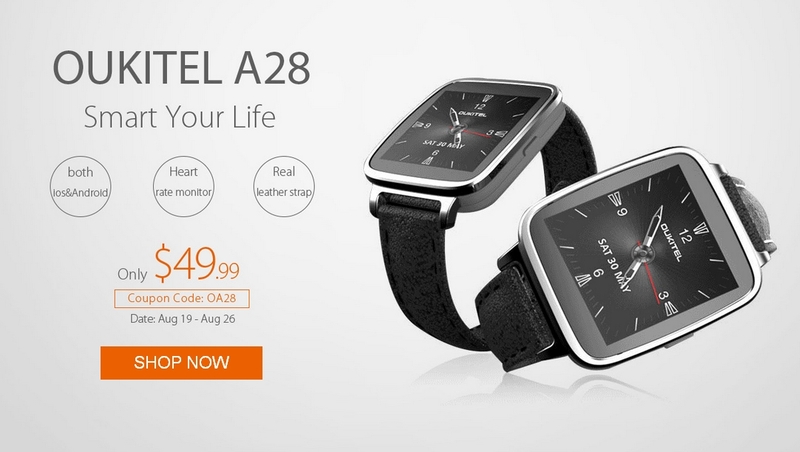 There is also a coupon code for the A28 called: OA28.